Google dominate the search space, if they did give extra value to their ventures would they annoy enough people to threaten their market share? Probably not. If I had built a massive tool and could use it to better propel other ventures that belong to me, would I? Probably, isn’t that just good business? The next logical thought that came to mind was around just how many industry’s Google have their claws in? There is a Wikipedia Page that showcases all the acquisitions and mergers that Google has been involved with. 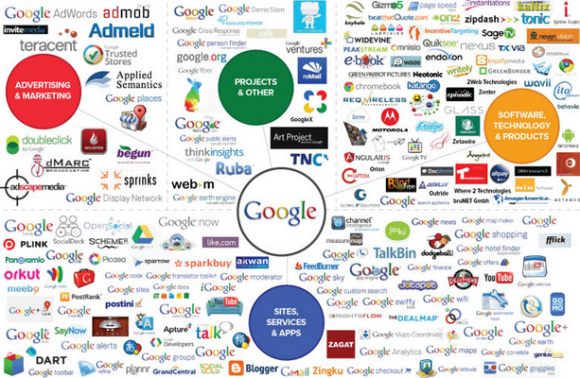 Google also have Google Ventures which has a comprehensive portfolio. Then on top of this, Google Capital also exists. 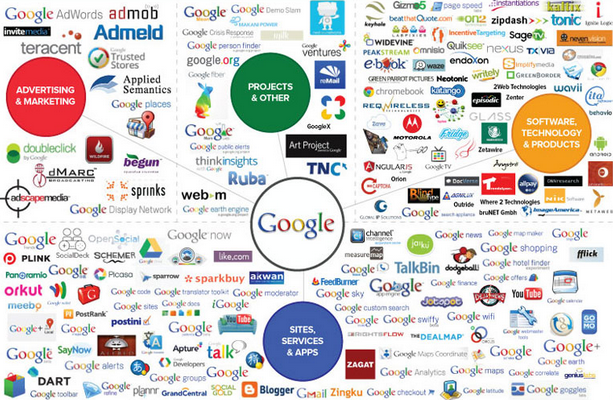 Altogether Google have a massive spread of interests across hundreds of different industries. They most certainly do have fingers in many pies! If Google did give each of these mergers, acquisitions or backed ventures extra SEO attention they would be in a position to literally rank in position 1 for almost every single industry. Again, it might annoy some people but it’s just good business if you ask me? If you stop for a second and think about it, imagine just how much space they’d have covered on the Internet? And, if Google does give extra SEO value to company’s it is involved with, is Google Ventures the investment company to turn to? I mean, we all live on the internet these days, where better to acquire customers from than the world’s biggest search engine which just happens to be owned by the investing company. A really interesting piece of research that probably shouldn’t end here but has to. I may revisit this again in the future but right now I need to get back to work!